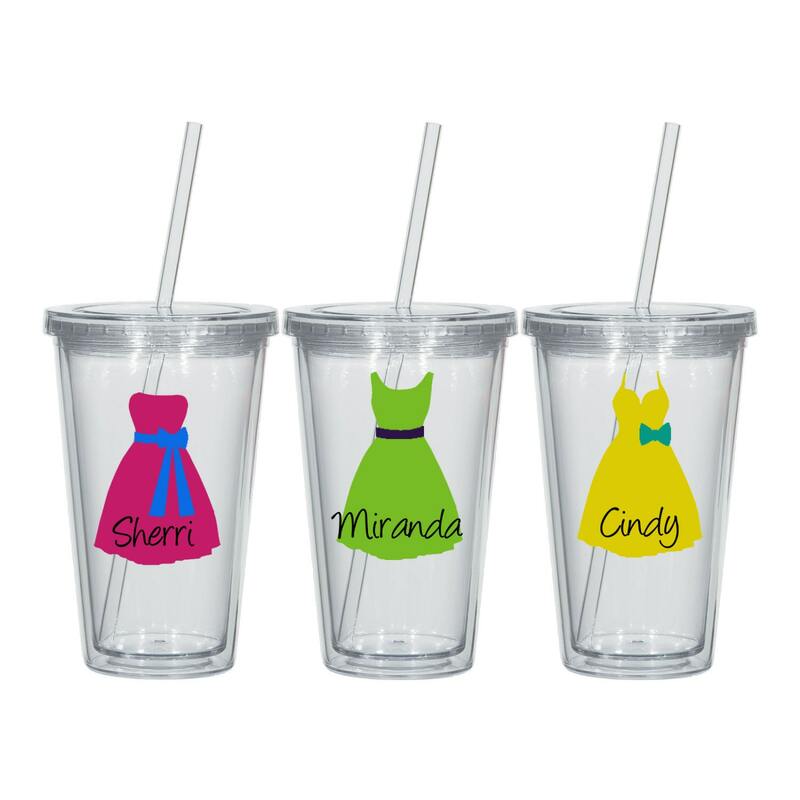 Bring a unique and elegant touch to the table with these personalized acrylic tumblers. 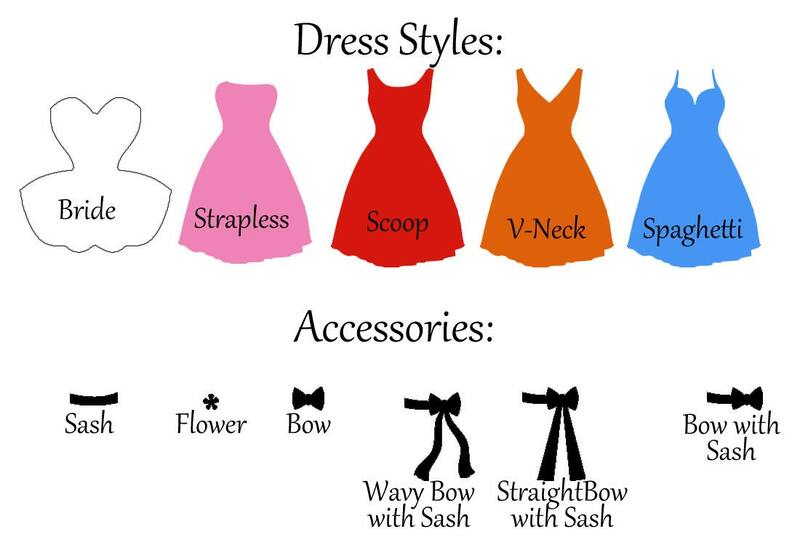 Choose the dress style, accessories, colors, names, and fonts to make it fit your event! Each glass holds approximately 16 oz. 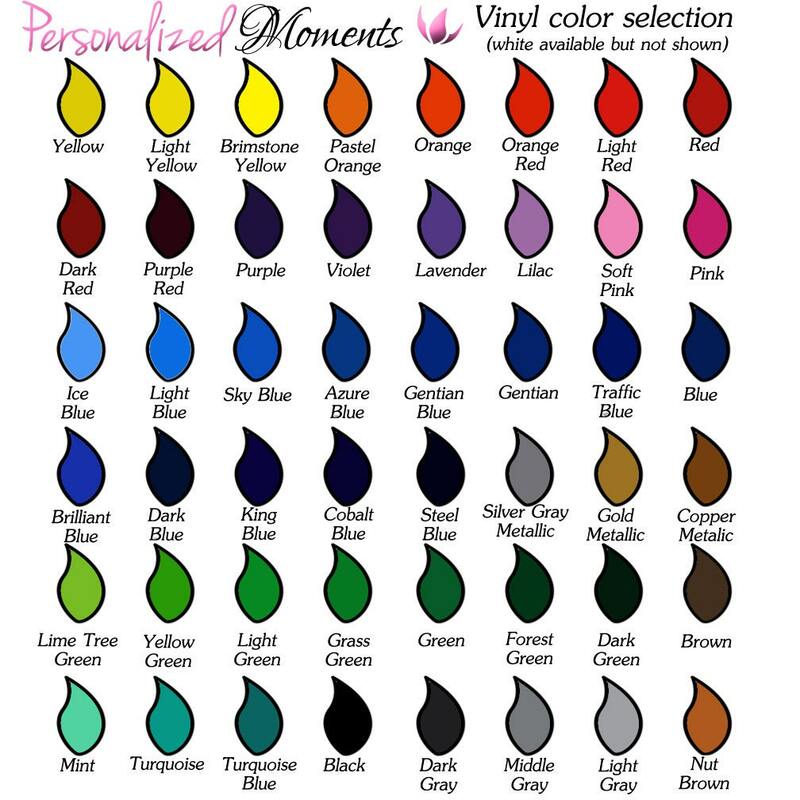 Made from high quality outdoor vinyl, hand wash only. BPA Free! Double walled acrylic tumbler, helps to keep the drink cold and minimize condensation. FREE DOMESTIC SHIPPING.